Located only a 20-minute drive from Auckland city centre, the December 2016 fully refurbished Ellerslie Palms offers apartments with free WiFi and kitchen facilities, including a BBQ area. The property is 5-minutes from North and Southern Motorway on and off ramps. 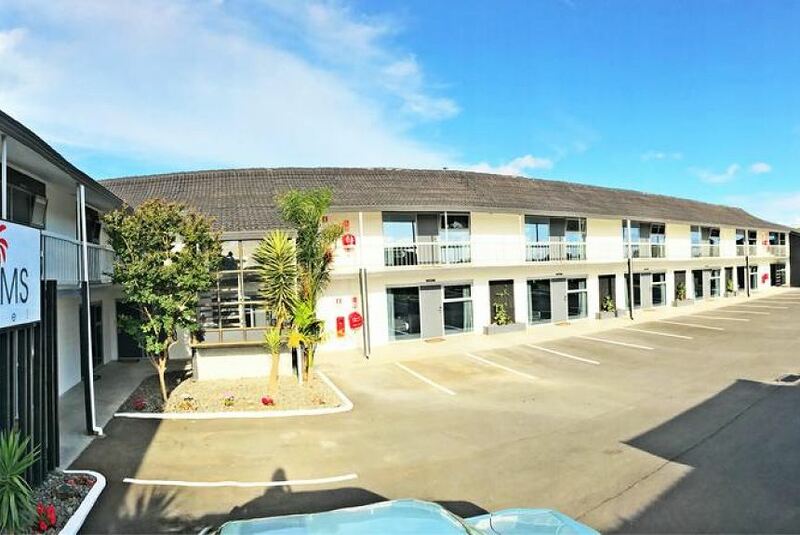 Ellerslie Palms Motel Auckland is a 10-minute drive from Mt Smart Stadium and only 8-minutes from Alexandra Park & ASB Showgrounds. Within 10-minutes to all major Hospitals. Ellerslie Racecourse is a 5-minute drive away. It is 2 km to Ellerslie Train Station. Each apartment includes a lounge area with 50-inch flat-screen TV, 50+ cable channels and a dining area. Electric blankets and free car parking is provided. All units have full air conditioning. Laundry and dry cleaning services are available.